I want to upgrade from a battery powered Honeywell thermostat to an ecobee3 lite. This is for heat only. My current Honeywell has two wires: Red and White. Missing is the C cable. There are enough wires in the cable in the wall they are just not connected. Currently the red cable from the thermostat is connected to G. The white cable from the thermostat is connected to Y. Question: Where do I connect my 'c-cable' ? Is this a question of just connecting that one cable or would the entire transformer need to somehow re-wired ? 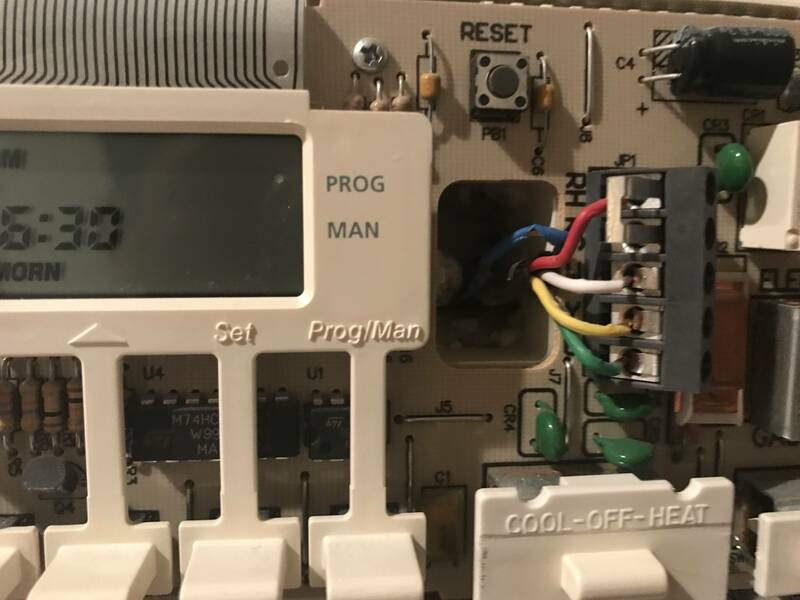 I did the same upgrade, but my old thermostat, YWGR were connected to the corresponding letters on the furnace. The blue wire was not connected on either sides. I connected the blue wire to C on both ends. Not the answer you're looking for? Browse other questions tagged thermostat thermostat-c-wire boiler or ask your own question. How do I connect a C wire to an Utica PEG112CDE steam boiler?